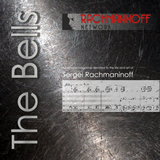 The Rachmaninoff Network aims to gather and spread knowledge about the life and work of Sergei Rachmaninoff. It will do so primarily by maintaining an archive, a specialist network, a public website and Facebook page. The Rachmaninoff Network may also initiate or support publications and activities, such as master classes, concerts, etc.